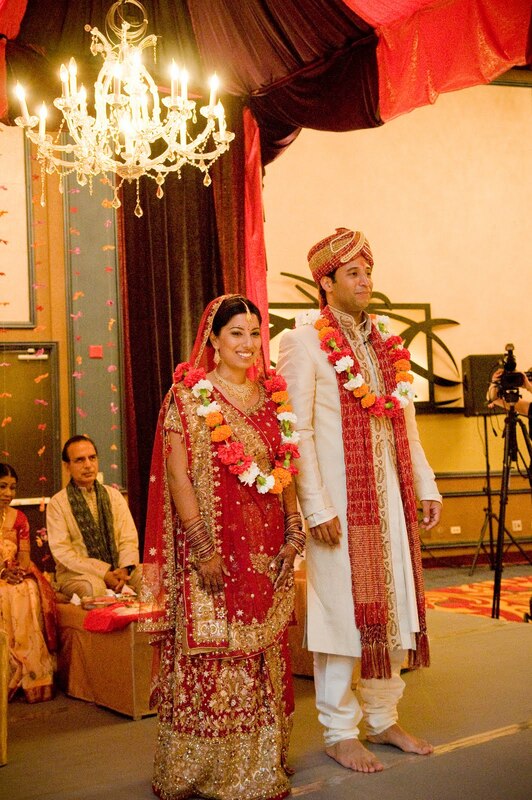 The bride was escorted down the aisle by her brother. Her father escorted Erick into the ceremony. The bride and groom’s parents place a sacred thread around Soniya and Erick to bond them together. 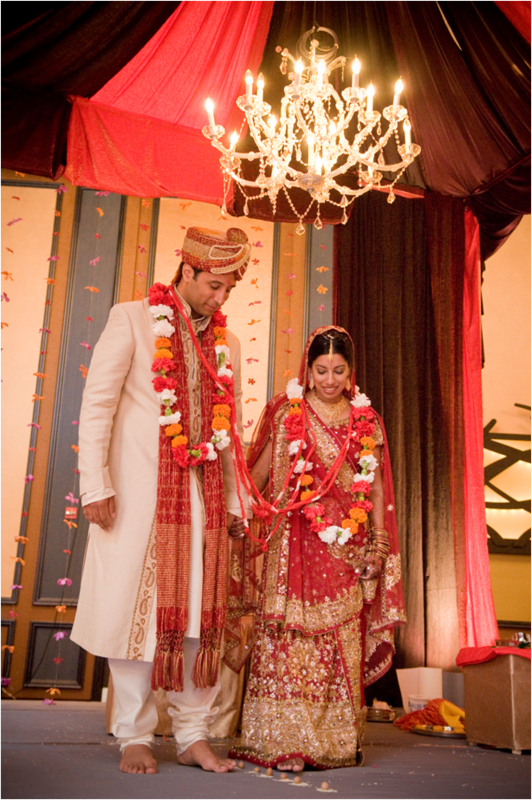 Together, Soniya and Erick take seven steps symbolizing their vows to one another. 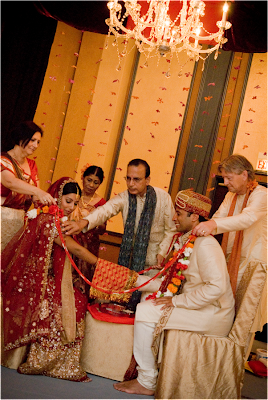 The couple receives blessings from a family member. 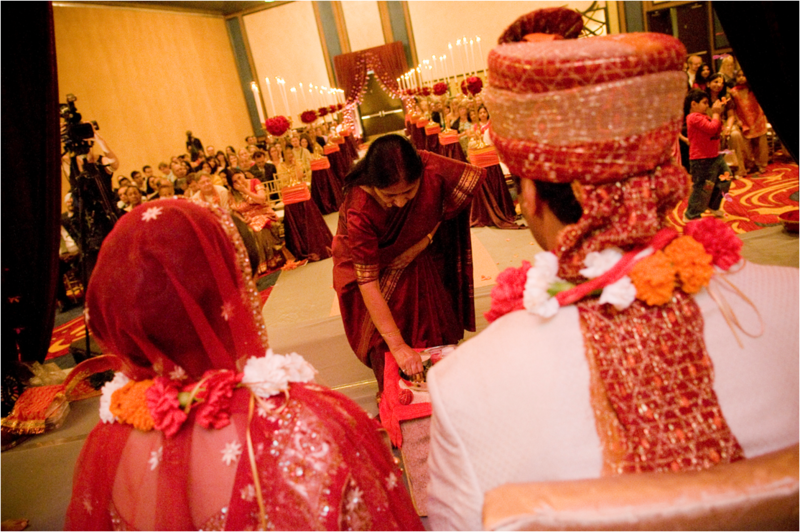 The mandap (ceremonial area) was draped in eggplant and fire orange linens and strands of orchids. A chandelier added dramatic lighting. 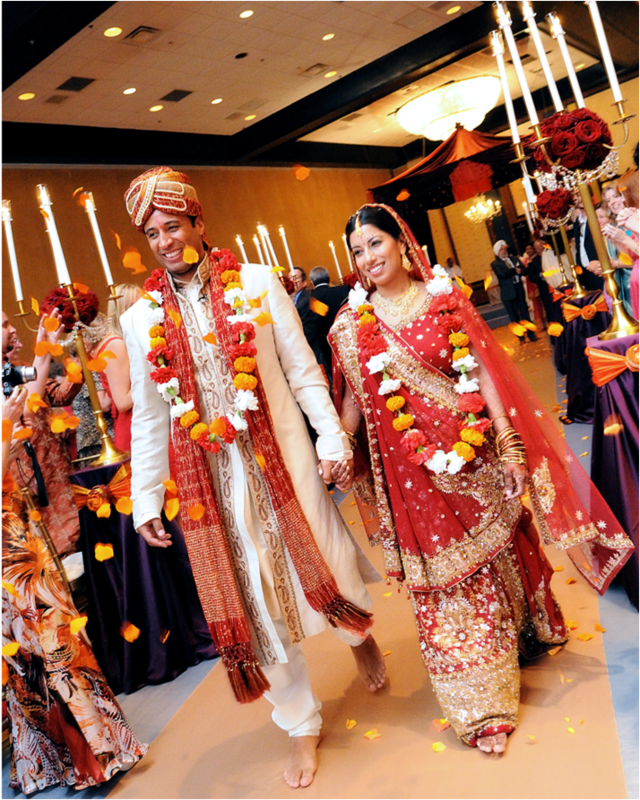 The bride and groom wore garlands made of red and white carnations and marigold blossoms. 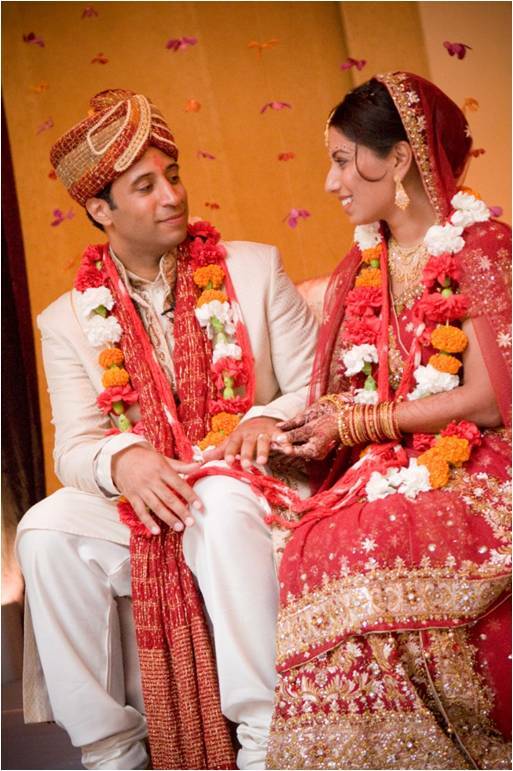 Finally married! 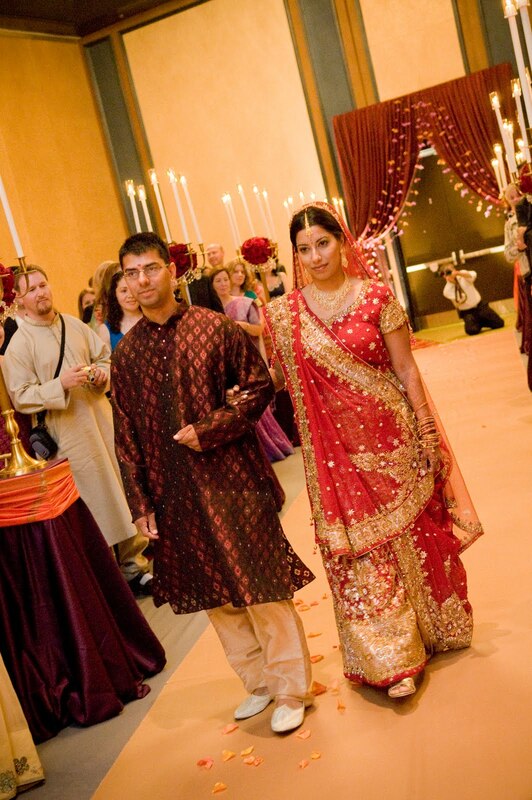 Guests threw orange rose petals as Soniya and Erick exited. 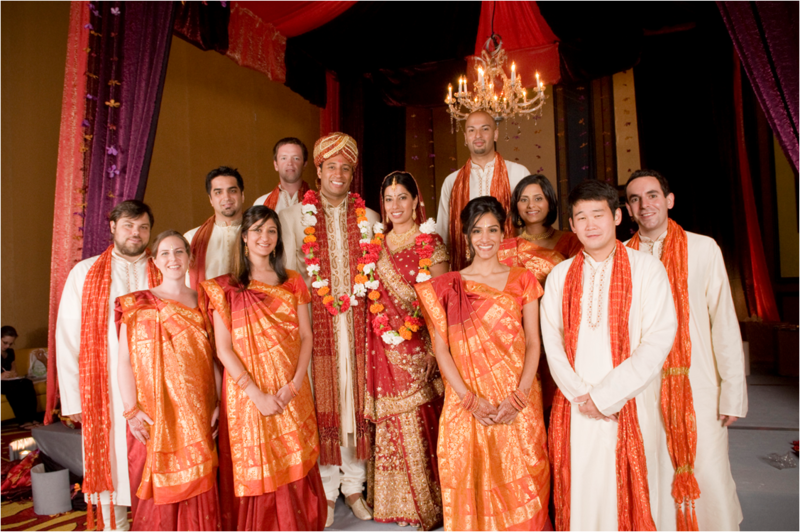 The bridesmaids wore matching orange and red sarees while the groomsmen wore kurtas with orange scarves.